My spiralizer. Yes, I’m hooked. And not with just zucchini. I’ve been spiralizing broccoli stalks, Chinese radishes, carrots and potatoes. I’m actually reviewing the new Inspiralized Cookbook by Ali Maffucci for The Kitchn and will be giving away a COPY so stay tuned for that post and a chance to win in the next couple of weeks. 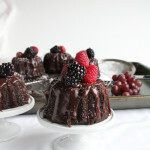 This recipe is inspired by this recipe (uh, gorgeous!!) and I changed a couple of things up and added zucchini noodles instead. 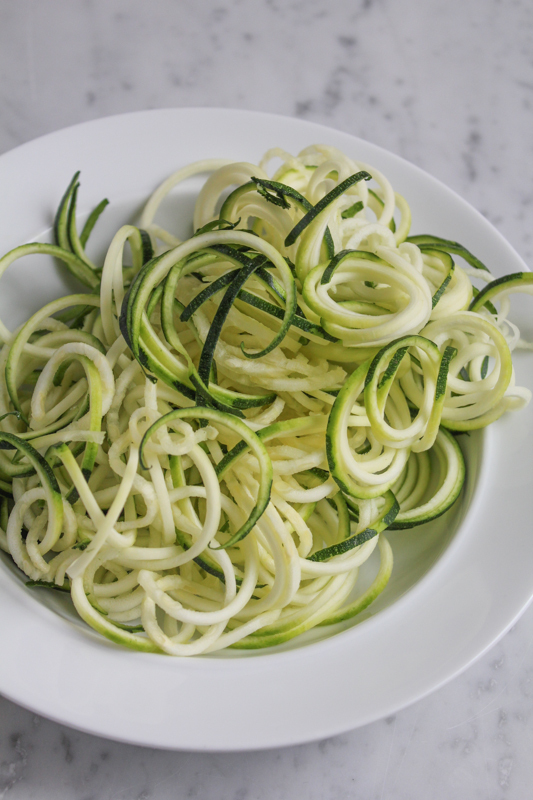 If you don’t have a spiralizer, you can also use a julienne slicer and cut up the zucchini that way. But, if you’ve been on the fence, you need to just buy a spiralizer. I made this dish for my friend the other night and she was amazed at not only the taste and texture, but how the zoodles actually looked. Like real noodles! As you are reading this, I am presenting to 125 second graders on Korean culture. I decided against the Gangnam Style dance and am teaching the kids how to sing Head and Shoulders Knees and Toes in Korean instead. Thank you to everyone who gave me advice and some great tips!! I’m totally behind on blog reading and this is why. . I prepped a power point presentation and then realized I’m presenting to 2nd graders so took out a lot, kept it pretty simple but still informational but added just a bunch of images and a couple videos. You Tube has been my savior lately. So, after today, I’ll be catching up!!! And before I get back to this recipe, I need to tell you guys about the Pinterest Party that Liz, Brandy, Carolyn, Anna, Diane, Taylor, Alea, Kim and I are throwing. . TONIGHT, at 9pm EST!!! 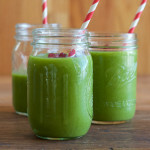 And you could win a $500 juicer from KitchenAid (and more!) so JOIN US!!! Spring is almost here (officially) and the weather will be warmer, we’ll be putting away the jeans and busting out the shorts, dresses and skirts so yes, as much as I love pasta, I’m cutting down on it. And with this recipe, you might not even miss it. 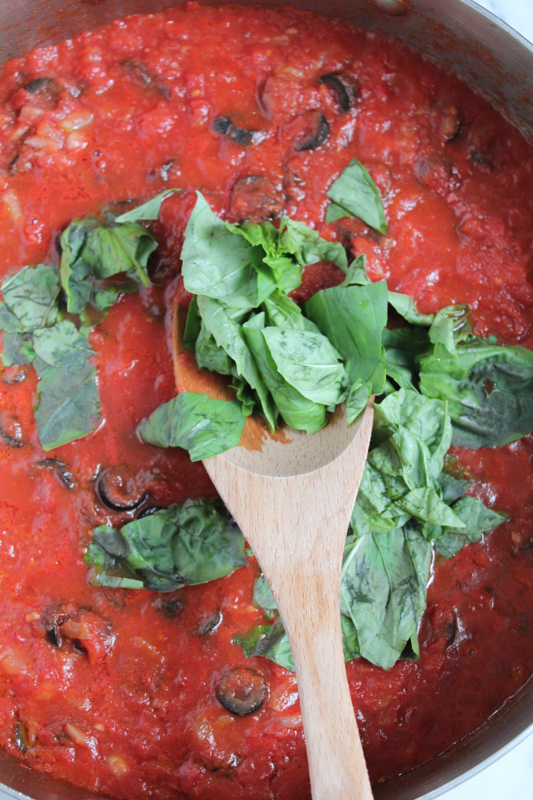 This puttanesca sauce is super easy to prepare and comes together pretty quickly. AND it has so much flavor, you might want to eat this everyday for three days in a row. Just sayin’. You guys have to try this. Some spiralizer brands are different so just use the blade that will give you the thinner noodles. 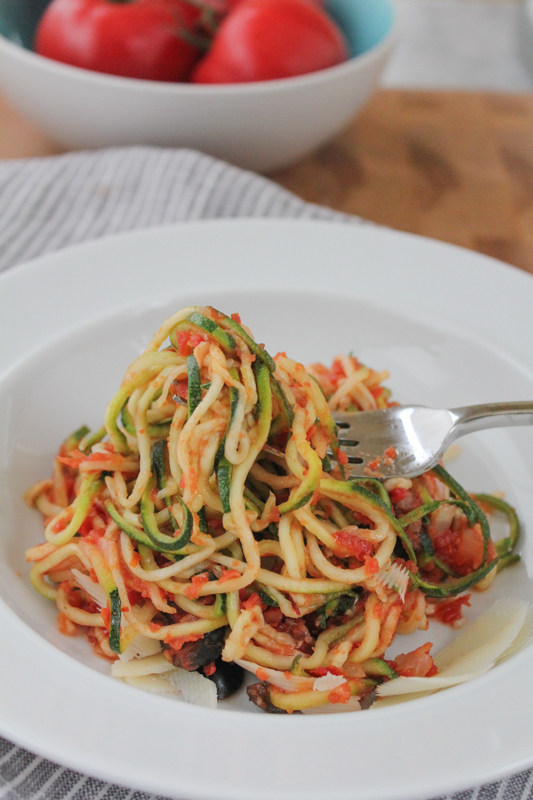 Spiralize your zucchini and set aside. 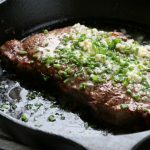 Using a large sized sauté pan, heat the olive oil over medium high heat. After a minute or two, add the onions, anchovy paste and garlic and sauté for a few minutes, or until the onions just start to soften a bit. Add the crushed tomatoes, olives and chopped basil, turn the heat up and bring the sauce to a boil, then lower the heat to low and simmer for about 6 to 8 minutes. Add the zucchini noodles to the pan and toss gently, coating all the zucchini with the sauce. Cook for a few minutes and season with crushed red pepper flakes if desired. 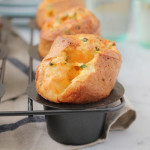 Serve with big slivers of parmesan cheese and enjoy! 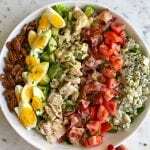 Omg this looks like my dream spring lunch!! So healthy yet delicious! I love zoodles! I love my spiralizer! It’s really quite the obsession at this point. And your sauce is delightful. You get major props for avoiding Psy. I like classics better, and everyone loves “Head, Shoulders, Knees and Toes.” Oldie but goodie! ZOODLES!!!! Way to make my day. I love a good puttanesca sauce, mainly for the olives. So salty and briny…mmm. I’m sure the zoodles soak up all the flavors! I totally need to get a spiralizer. These look amazing. Can’t wait for fresh garden zucchini once again! 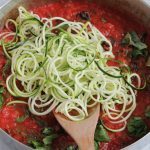 I definitely need to hop on board the spiralizer train! These noodles look fantastic, Alice! And I’m loving that puttanesca sauce. 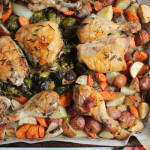 Looks so flavorful and comforting! Yes! Have fun today! The kids are in for a treat! 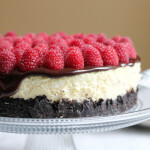 And this recipe has me in for a treat. I don’t have a spiralizer but I’m thinking it might be time…just so I can produce something called zoodles and eat my broccoli stalks! Love! Love! Love! I apparently need to dig my spiralizer out of the drawer and use it…because this meal looks incredibly awesome! Like I kinda want to dig in for breakfast. Is that allowed? I hope the big presentation went well! (I’m sure it did!) But now I’m going to need you to post a Heads-Shoulders-Knees-and Toes video here on your site. Can that be arranged? I’m asking for one of these for my birthday. It makes the zucchini look so beautiful! I have always wanted to make zucchini noodles. You’ve confirmed that I need a spiralizer, like, yesterday! i have been seeing spiralized zoodles for so long yet i keep putting buying a spiralizer. this looks really good. Why is it that spiralized zucchini I always looks so amazing! I almost enjoy looking at it more than I like eating it … almost! 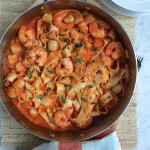 Love this twist with puttanesca sauce! Yum! Ok. I seriously need to try my spiralizer! Can you believe I got one for Christmas and I still haven’t used it! I know – bad blogger,bad! 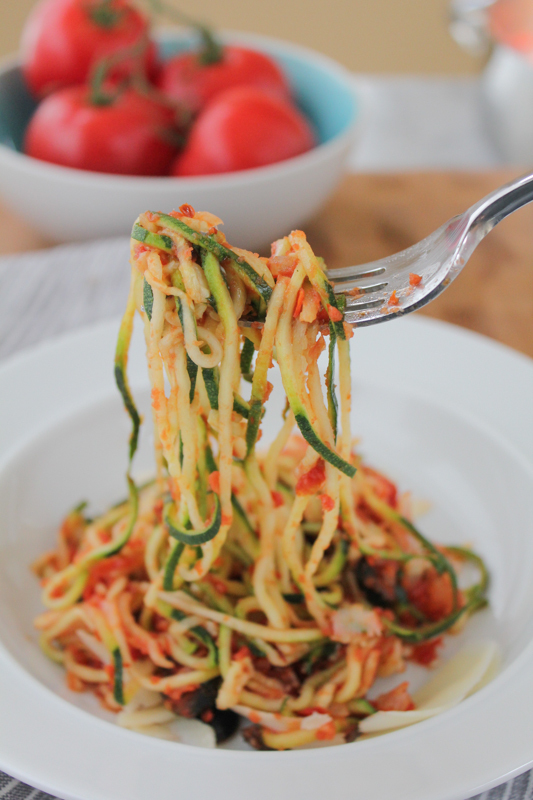 I’m making it my weekend mission to make these zucchini noodles! I think I’m going to have to trust you on the zoodles — they look amazing but I’ve never had them! LOVE this Puttanesca sauce! 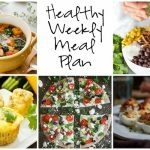 A good friend of mine recently emailed me telling me that I needed to post spiralizer recipes on my site. 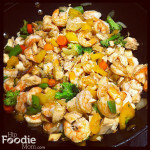 This would be a great first recipe for me to practice with! Hope the presentation went well, Alice 🙂 I love zoodles! They sound amazing with this Puttanesca sauce! So fresh and delicious! 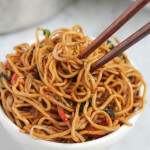 I love making veggie noodles and this sauce looks perfect to go with it. Olives in pasta sauce are a must I think! I need a spiralizer like yesterday. You have totally convinced me now! I want to learn how to sing that song in Korean! Upload a video on YouTube so that I can sing along too? I’m sure the kiddos are going to like that! 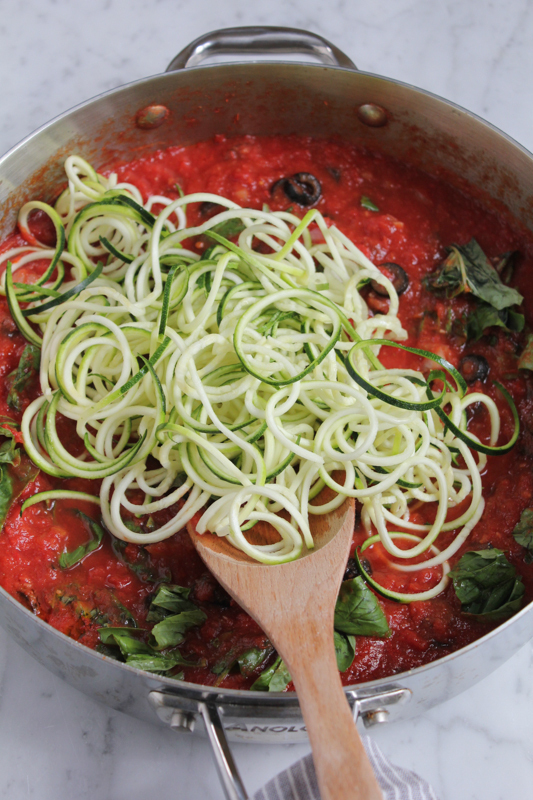 The zucchini noodles in this puttanesca sauce sounds positively delicious! I’ve never though of adding anchovy paste to the tomato sauce base before. Can’t wait to try! so healthy and delicious! I think I need to buy a spiralizer ! You are making me want to buy a spiralizer! This is awesome! I just got a spiralizer and am beyond excited to get on it and make a beautiful dish like this! That puttanesca sauce sounds delicious! 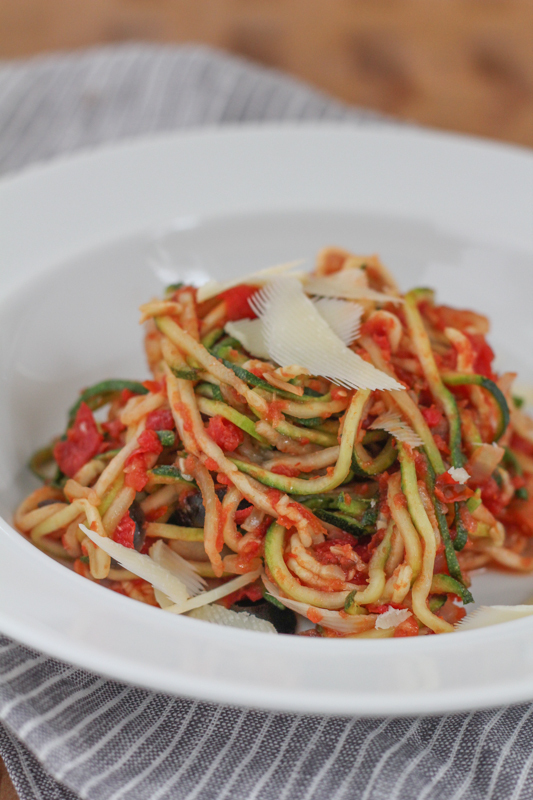 Oh my, I love zoodles, especially in summer time! I haven’t used my spiralizer in ages. I kind of just forget I have one. Seriously. The other day I was at BBB and was actually checking them out before remembering I already had one. I’m convinced I need to dust that baby off and make this. Yum!! Don’t you just love sprialized vegetables? I’ve just done a few so far. Never thought of trying broccoli stalks! So smart! This dish looks just perfect. And healthy too! I JUST ordered a spiralizer and now I know one thing I’m going to make with it. I love puttanesca sauce and what a great pair with zucchini. Gorgeous as usual, Alice! Awesome, Marissa!!! You are going to love it!!! Next week I’ll be giving away the new Inspiralized cookbook. . you need to enter the giveaway! Oh my gosh, I’m glad you didn’t go with Gangnam style, LOL! I have not yet caved and bought a spiralizer, but here is yet another reason I should! Looks delicious! 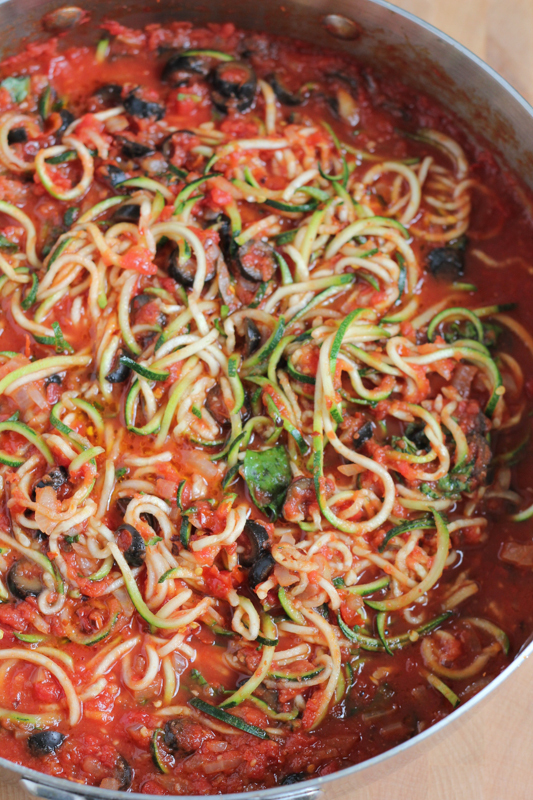 I have really been enjoying zoodles lately and this zoodle puttanesca looks great! I finally used my spiralizer! I can’t believe I waited so long to use it! 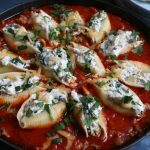 I made this recipe last night, and it was absolutely delicious – so full of flavor we never missed the pasta noodles! Zucchini noodles are where it’s at! SOOOOO HAPPY to hear this, Kathleen!!!! woot woot! !